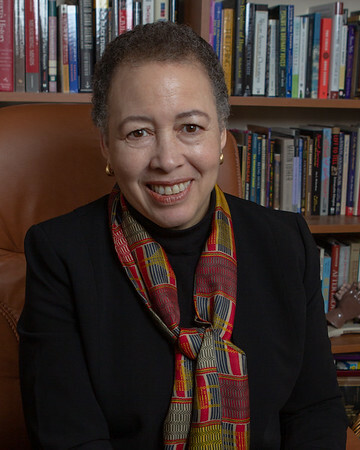 Dr. Beverly Daniel Tatum, president emerita of Spelman College, will deliver the keynote address at New College’s 53rd commencement on Friday, May 17. She earned her Ph.D. in clinical psychology in 1976 from the University of Michigan and an M.A. in religious studies from Hartford Seminary in 2000. She began her career in higher education in 1980 as a lecturer in the Department of Black Studies at the University of California at Santa Barbara. She’s held professorships in psychology at Westfield State College and Mount Holyoke College. During her tenure at Mount Holyoke College, she was promoted to chair of the Department of Psychology and Education. By 2002, she was appointed acting president of Mount Holyoke College before assuming the presidency at Spelman College. As a practicing clinical psychologist, Tatum specialized in consultation and training related to diversity and multicultural organizational development. From 2002 to 2015, Tatum served as the ninth president of Spelman College, the country’s oldest historically black women’s college, where she improved opportunities for research, service building, international study, and alumnae networking. The Carnegie Corporation of New York recognized her visionary leadership in 2013 when it awarded her the its Academic Leadership Award. Throughout her long career in psychology and education, she has earned several other distinguished awards, including the Brock International Prize in Education and the American Psychological Association Award for Outstanding Lifetime Contributions to Psychology. As one of the country’s foremost authorities on the psychology of racism, Tatum has shared her knowledge in racial identity development in lectures, workshops, and panels across the country. Tatum retired from Spelman College in 2015, and she continues to help facilitate the national conversation on race as an author and speaker. She is also an engaged civic leader in the Atlanta community, where she’s led initiatives to expand educational opportunities for underserved students and their families. For more information about this year’s commencement ceremony, visit ncf.edu/commencement. -– Shane Donglasan is the marketing writer/project coordinator at New College of Florida.